English translators of Brossard’s feminist works in French have sought to de/rivet sexist underpinnings of the English language while at the same time drawing attention to what is normally assumed to be the more sexist of the two languages, namely French. Susanne Harwood, for instance creates the word ‘auther’ (60) to underline the fact that she is translating a woman from the subjective position of a woman and the term ‘He-man language’ (112) to denote sexism in English which she believes is just as sexist as French, if only covertly so in its hidden constructions. Brossard herself appropriates a curious intermingling of English and French to create her idea of ‘the integral woman’, namely the ‘essentielle woman’ (The Aerial Letter 127). The binary opposition of source and translation is effectively crippled through such discursive acts where women translate each other to inscribe each other’s subjectivities. And translation effectually occurs in little acts of identification rather than in the workings of a different language. Both Feminism and Translation are bi-lingual acts. The supposed ‘virtue’ of voicing one’s subjectivity as a woman in a man’s language is what essentially makes a feminist a translator. Feminists transact with ‘given’ patriarchal codes of language precisely in order to divorce the unhappy alliance with language that denies them the act of creating meaning as subjects with agency and voice. To break up established circuits of meaning, to disrupt phallogocentric acts of signification, to appropriate language to articulate identities that by default fall into the realms of the inarticulate, a feminist has to necessarily trans/act with language on her own terms. Feminists, whether theorists, activists or writers, are constantly giving voice to women’s subjectivities through a language that essentially gives them the agency to find their own meanings, communicate their own perceptions of reality. This entails using a language that is not essentially their own, but on their own terms, an act that comes closest to translation in terms of language. In being undefined translators, feminists come to be/ing – an understanding of their own subjectivities as women. In doing so, they change the very dynamics of translation, for in the act of translation as feminist, there is no source language and target language, no quint/essential author to please, to follow, to live up to. The act of be/ing feminist is a departure from the text in an attempt to move away from the ‘original’, not return to it as the point of reference. It is not a coming to be, but a be/coming, an arrival at the source of language as a negotiable text that is a departure from all ‘source’ texts. Unlike most feminist linguists, writers and critics who fall back upon a linguistic feminist tradition that essentially looks at women’s engagement with phallogocentric discourse as problematic and fail to recognize it as a means of mediation, Québécoise feminist translators locate themselves with/in a feminist collective consciousness of negotiation with language that seeks to find agency within the process of articulation, not essentially in relation or with reference to the matrix of phallic signification. Feminist translations of Brossard have succeeded in creating the dynamics of re-writing through translation (albeit in a different language) as a means of reinforcing new meanings that come from a collective feminist enterprise of shared understandings. 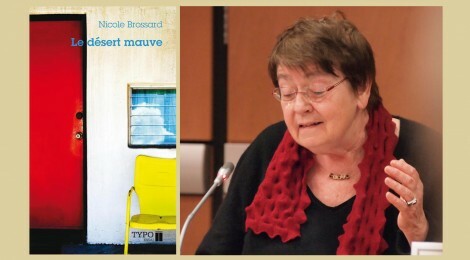 Feminist translations of Nicole Brossard’s works emerge from and work towards establishing an understanding that feminist translation is a system of re/presentation of women capable of producing multiple possibilities for feminist identity. Brossard’s Québécoise feminist translation practice thus signifies major breakthroughs in both translation practice and theory, areas defined and dominated primarily by patriarchal understanding. Brossard’s texts question the gendered and sexist positioning of women in language and sustain their feminist discourse through a collaborative practice of translation as reading and rewriting in the feminine. Further, by theorizing the feminist implications of women translating and being translated by women they articulate feminist questions of language within a larger, more inclusive rubric of plurality. Brossard, Nicole.Baroque at Dawn. Trans. Patricia Claxton. Toronto: MClelland & Stewart, 1997. Print. ___. Baroque d’aube. Montreal: l’Hexagone, 1995. Print. ___. French Kiss or A Pang’s progress. Trans. Patricia Claxton. Toronto: Coach House Press, 1986. Print. ___. Le Desert Mauve. Quebec: Editions de l’Hexagone, 1987. Print. ___. Mauve Desert. Trans.Susanne de Lotbiniere-Harwood. Toronto: The Coach House Press, 1990. Print. ___. Picture Theory. Trans. Barbara Godard. Toronto: Geurnica, 2006. Print. ___. The Aerial Letter. Trans. Marlene Wildeman. Toronto: The Women’s Press, 1988. Print. de Lotbiniere-Harwood, Susanne. Re-Belle et Infidele/The Body Bilingual: Translation as a Rewriting in the Feminine. Toronto: Women’s Press, 1991. Print. Godard, Barbara. “The Translator as She: The Relationship Between Writer and Translator.” Feminine: women and words/les femmes et les mots – Conference Proceedings. Longsppon Press, 1983. 196-197. Print. Kaplan, Cora. “Language and Gender. The Feminist Critique of Language: A Reader. Ed. Deborah Cameron. 2nd ed. London &NY: Routledge, 1998. 54-55. Print. Maria Black and Rosalind Coward. “Linguistic, Social and Sexual Relations: A Review of Dale Spender’s Man Made Language.” The Feminist Critique of Language: A Reader. Ed. Deborah Cameron. 2nd ed. London &NY: Routledge, 1998.101. Print. Mouré, Eirin, and Alberto Caeiro. Sheep’s Vigil by a Fervent Person: A Transelation by Eirin Mouré. Toronto: House of Anansi, 2001. Print.